Poor product design results in your products quickly becoming rubbish. There are too many examples of products with unnecessarily short lives – here are some of the worst offenders. Vote for the one that you consider the worst, and Zero Waste Europe commits to influence European policy in order to put a limit to this wasteful practice. The average European gets a new smartphone every two years, with estimates suggesting that only 8.5% of old phones in the EU are recycled. Lack of software updates, broken screens and unreplaceable batteries are some of the reasons for such frequent changes of phones. A recent study estimated that 70kg of natural resources are needed to manufacture just one smartphone. That includes conflict minerals, rare earths, metals and plastics, whose extraction, manufacture and transport pollute our air, water and soil. With an ever-increasing volume of e-waste produced, campaigners are asking the European Commission to take action on product design; more specifically, to increase the durability, reparability and recyclability of products. Take the problem into your own hands! Check out these tips shared by our friends at ifixit to repair your phone and give it a longer life. Willing to go the extra mile? Join the dumbphone campaign by asking the European Commission to take action on product durability within the Ecodesign Directive. Share the letter sent by Zero Waste Europe to President Juncker in 2018 as part of the Coolproducts campaign led by NGOs ECOS and the EEB. Every European uses an average of 175 single-use plastic bags per year, making a total of more than 87 billion per year in the EU alone. Their exponential growth, short life and numerous adverse effects on the environment have made the single-use plastic bag an icon of both poor design and our throwaway culture. Where it has been implemented, EU legislation has successfully reduced single-use plastic bags in favour of reusable and environmentally friendly alternatives. For example, the Plastic Bag Directive resulted in a reduction of 85% in six months in England. In Italy, among others, a graduated ban (with exemptions for lightweight and bio-based bags) reduced plastic bag consumption by 50% within three years. International Plastic-Bag Free Day takes place every year on 3 July. 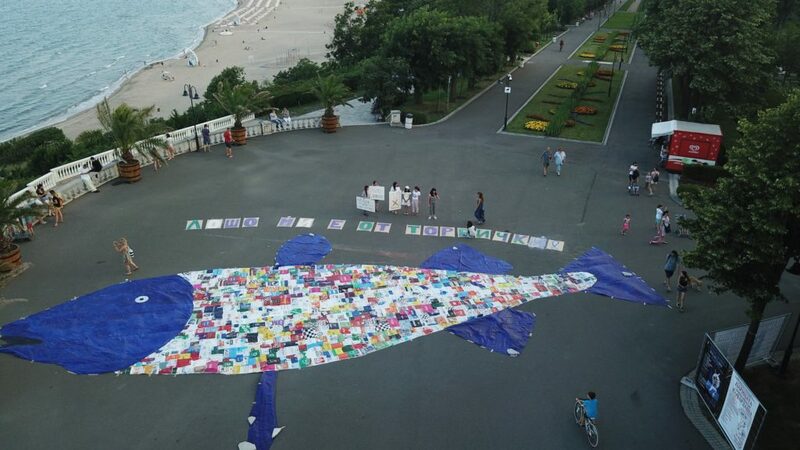 All around the world, people take action to raise awareness and call on their governments to phase out single-use plastic bags. Check out the 2018 edition and get inspired! Microplastics are pieces of plastic less than 5mm that can originate from different sources, such as microbeads from personal care products, fibres from synthetic clothing, pre-production pellets and powders, and fragments from larger degraded plastic products. Recently, microplastics have been found as far away as the ice of the Arctic. Due to their size, animals easily mistake them for food, thus they enter our food chain via seafood, tap water, table salt or other kinds of food. There are also concerns that microplastics can accumulate and convey toxic chemicals in the sea, and that they could eventually enter the human bloodstream. Microplastics are a macro problem. In late 2017, over 150 signatories, including Zero Waste Europe and businesses, scientists and elected officials, published a statement requesting a ban on oxo-plastics. Once in contact with air, light and heat, oxo-plastics break down into smaller pieces, creating microplastics. The Commission subsequently stated that these type of plastics, as well as intentionally-added microplastics in products such as cosmetics, would shortly be banned.